Lots of people that I speak to often say they love to eat mussels when they go out but are a bit nervous to make them themselves. I would have said the same until I gave it a go for the first time and now they are a regular in our house. 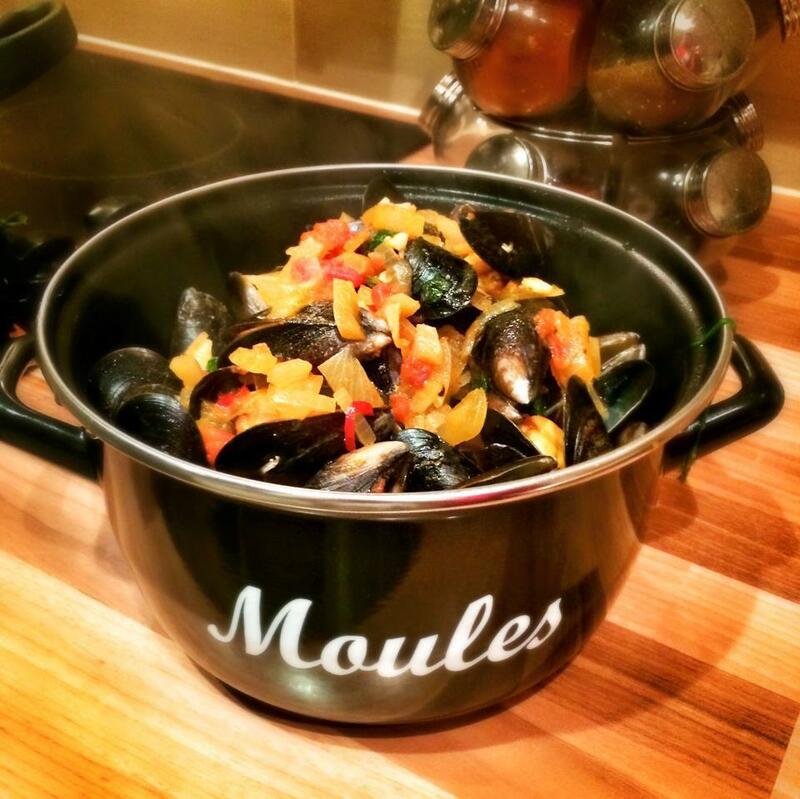 Mussels really are one of my favourite, quick go to meals when I am looking for something both cheap and easy and low in points. You get a huge portion for only 2sp so you can add to it as you please. I’ve cooked some spaghetti and stirred it through the sauce at the last minute and then served the mussels on top or I’ve just served it with a warm WW petite pan. If you add either of these, be sure to add the extra points. You could have this as a main meal and split the 1kg mussels between two. Alternatively you could have it as a starter to a three course meal. If split between four it works out at 1sp per person. Fry the garlic, chilli and onion in 1KAL for around 5 minutes until nice and soft. Add the wine, tin of tomatoes, tomato puree and sugar, season well and simmer for around 5 minutes. Add half of the basil leave, stir in and then tip in cleaned mussels, giving them a stir. Put a lid on the pan tightly and let the mussels steam for 3-4 minutes until all of the shells have opened. Serve in nice big bowls with the sauce poured over the top and the rest of the basil leaves scattered on top. Remember not to eat the mussels which don’t open.